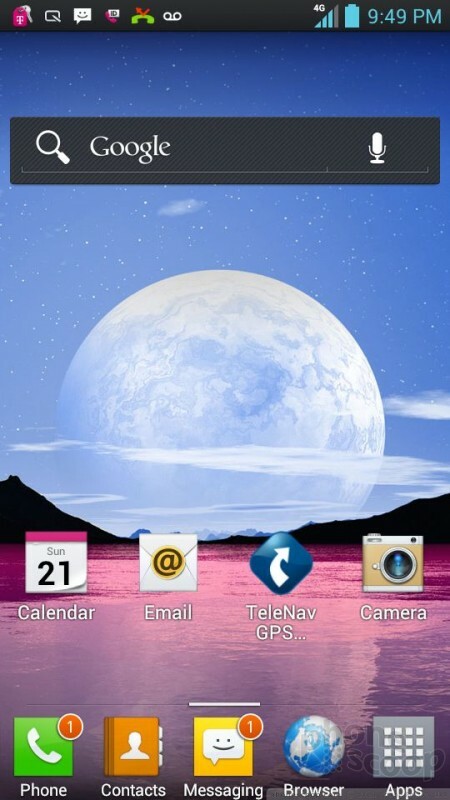 The L9 runs Android 4.0.4 Ice Cream Sandwich with a user interface treatment from LG. 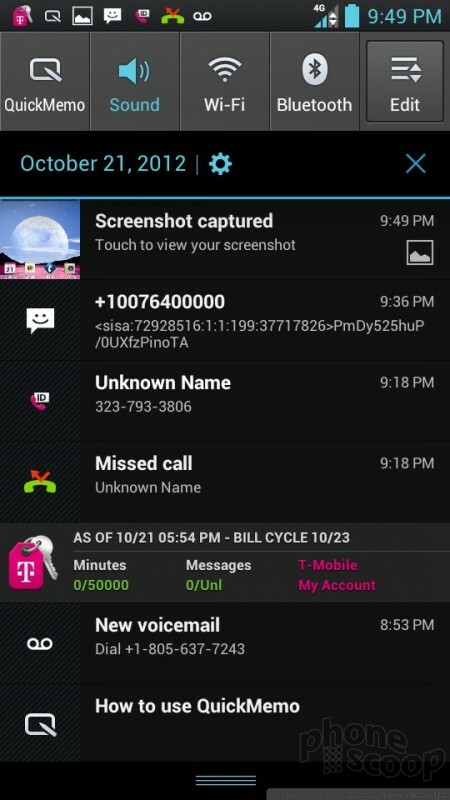 There are some T-Mobile elements visible throughout the UI, as well. The lock screen is fully customizable. There are four shortcuts that can be changed or deleted. 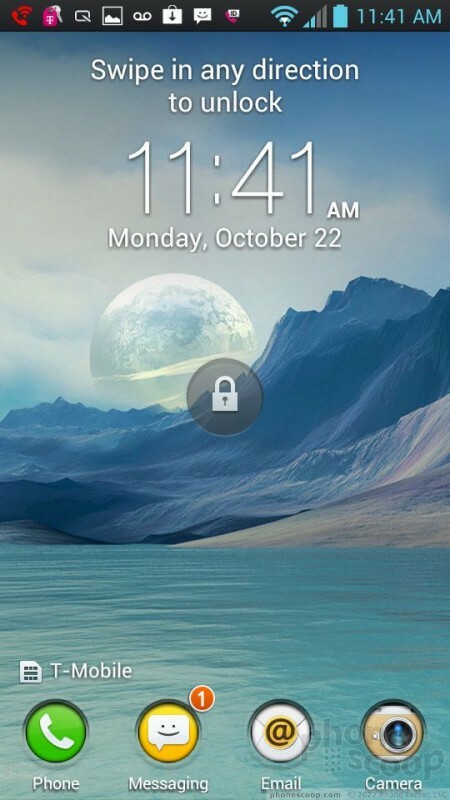 You can also customize which clock appears on the lock screen, and whether or not weather data and other alerts are sent to the lock screen. There are five home screen panels for customization out of the box, but you can either delete or add these if you wish. 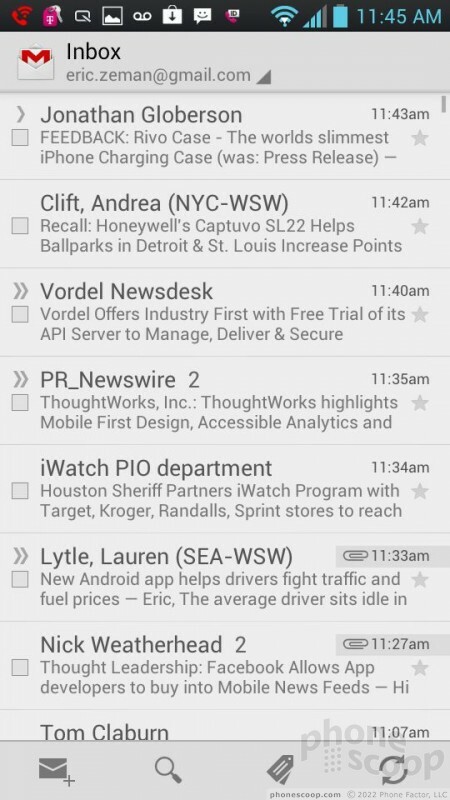 There are a multitude of widgets on board. 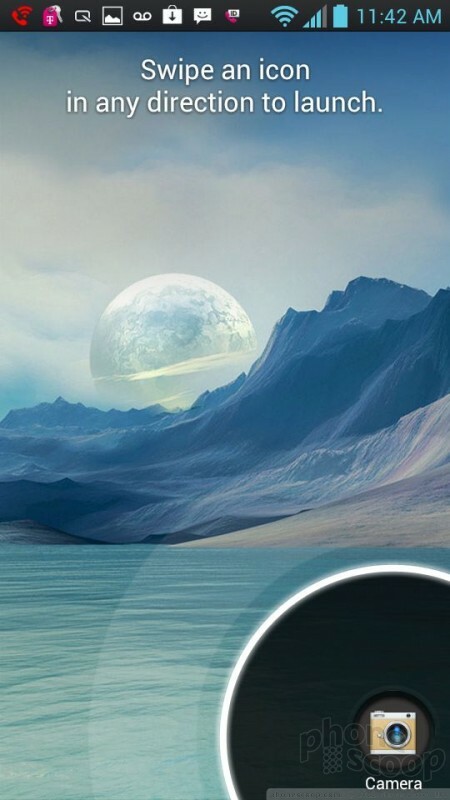 The L9 has the same, cool 3D home screen transitions. 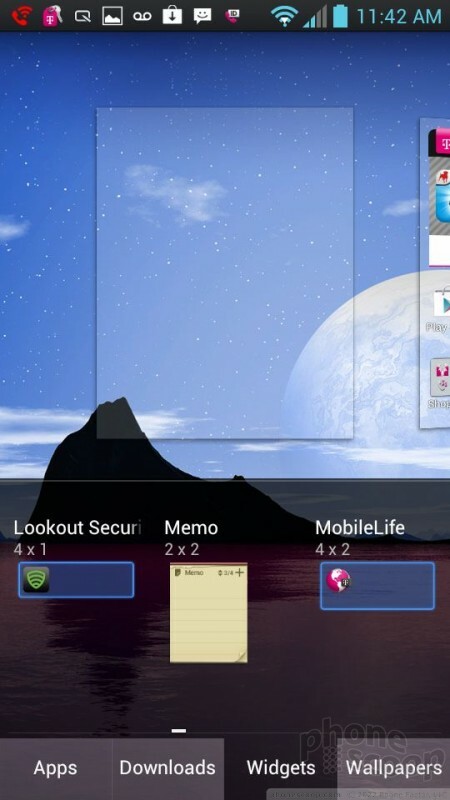 The main menu is a regular old grid of apps. Thankfully, you have some flexibility as far as customizing it is concerned. 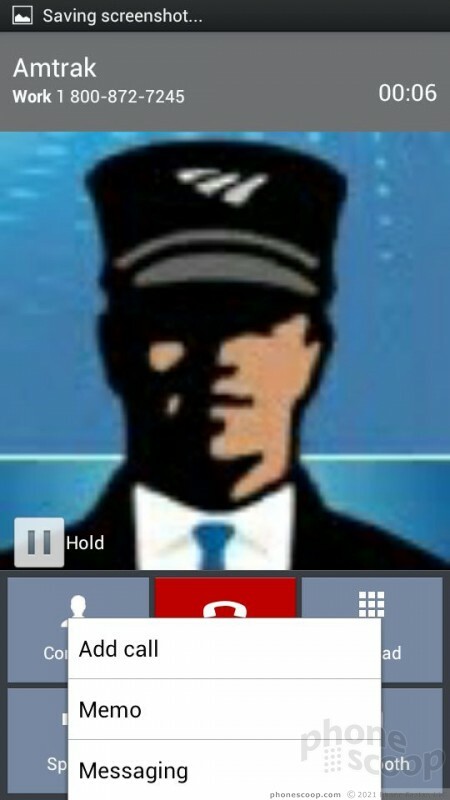 You can view it with large icons (default) or small icons to fit more apps on each individual page. 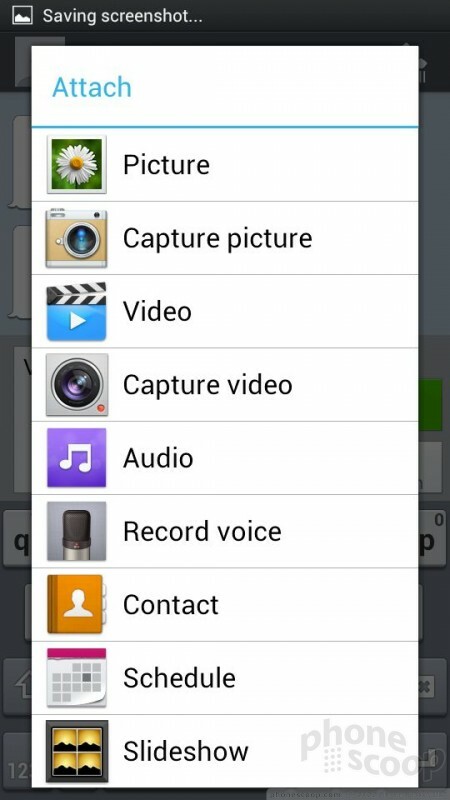 You can also arrange the apps in whatever order you want them to be. The main app menu can't be viewed in list form, though. 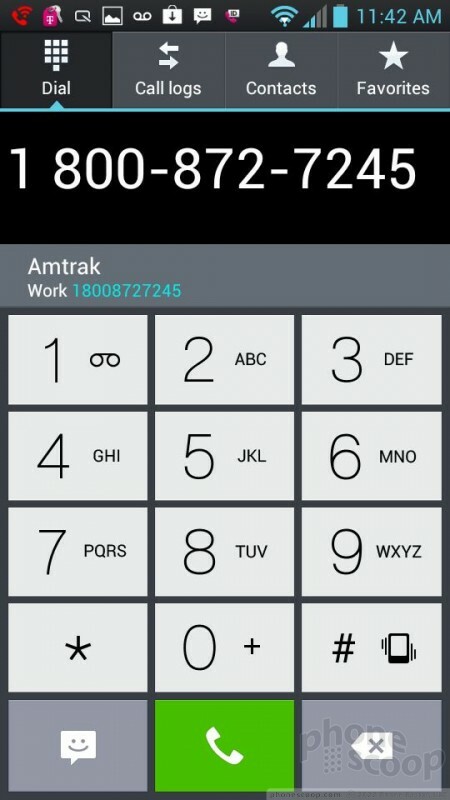 The drop-down notification shade provides access to quickly switch on or off all the wireless radios as well as brightness, rotation, sound, and the QuickMemo apps. Very cool. The L9 is as customizable as any other Android device. 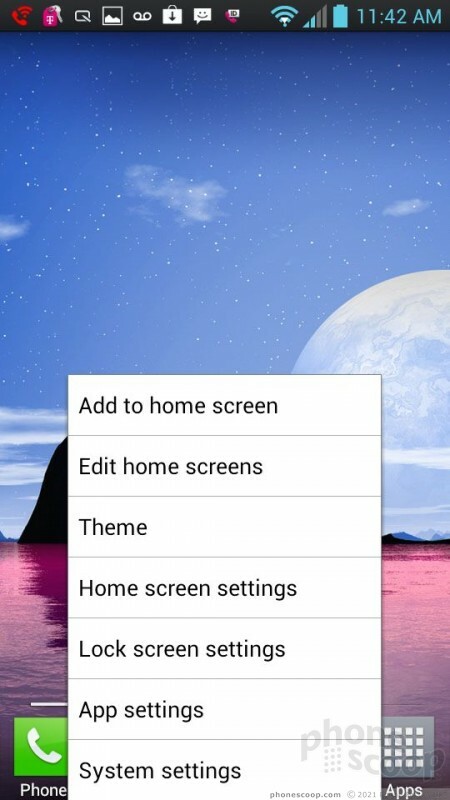 In addition to all the adjustments that can be made to the home screen panels and main app menu, there are four different home screen themes to change things up even more. 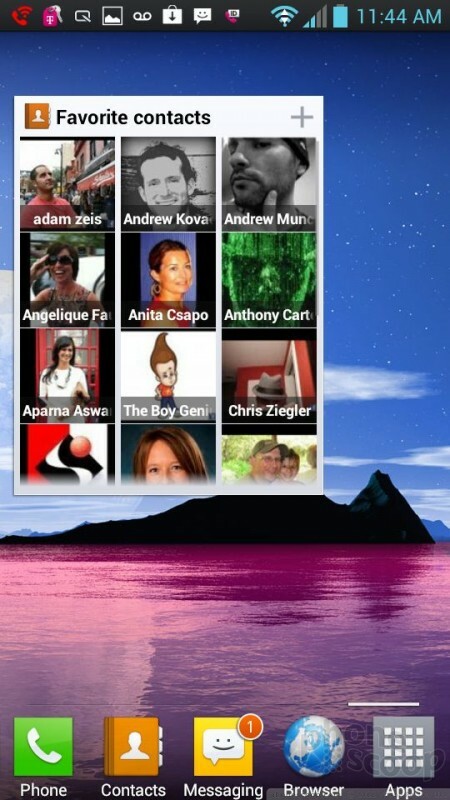 L9 owners can customize the app icons with photos they've taken. As far as performance goes, the Optimus L9 uses a Texas Instruments OMAP dual-core processor at 1GHz. As far as I am concerned, the performance was just as good as a dual-core 1.5GHz Snapdragon processor. 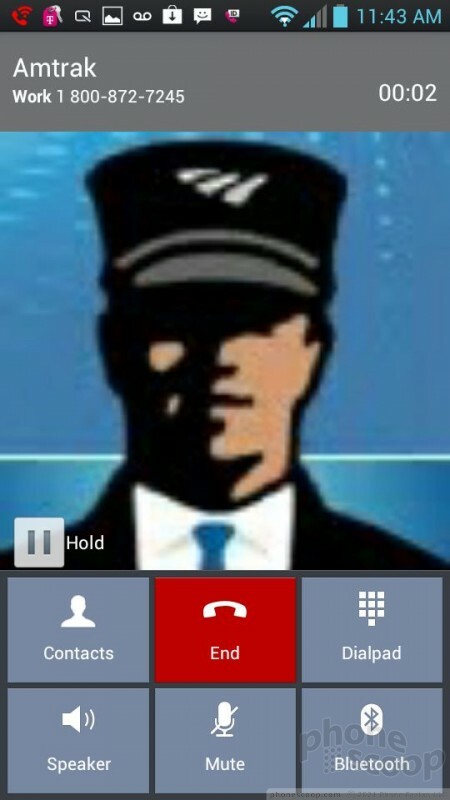 The home screen user interface was fast, apps opened quickly, and I didn't see any stuttering or other crashing problems. It performed really well across the board. 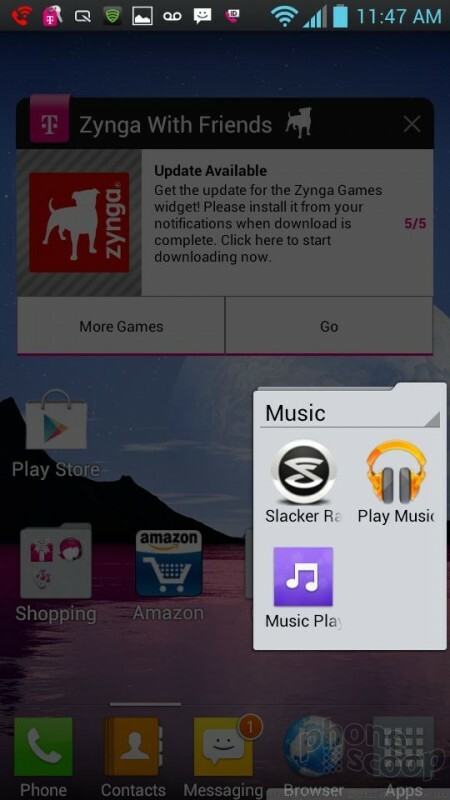 LG stuck to the stock Android phone and contact tools for the L9. 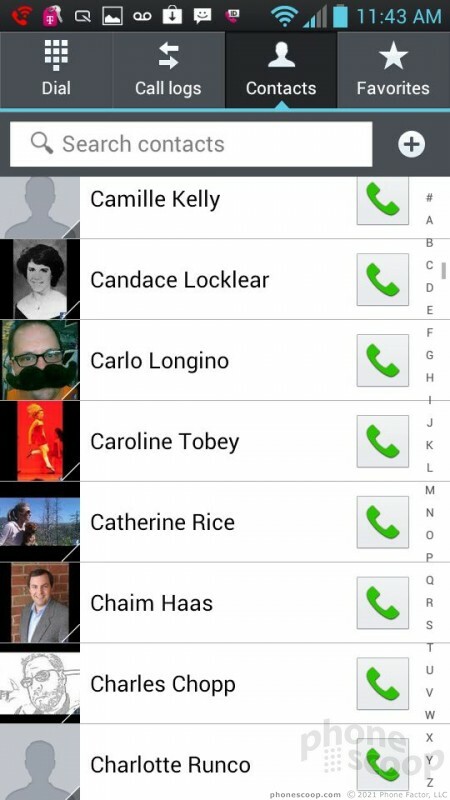 The functionality of the phone and contact apps behave just as they do on every other Android 4.0 device out there. It's simple and straightforward. 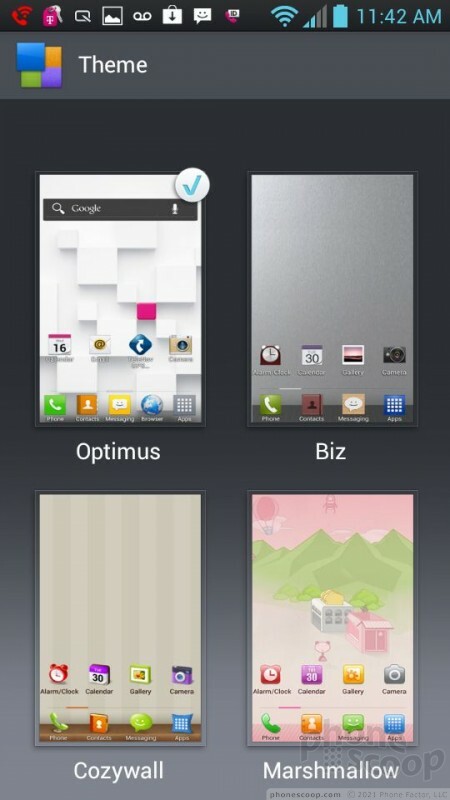 The L9 includes the usual home screen widgets for direct contacts, and a larger widget for your favorites. 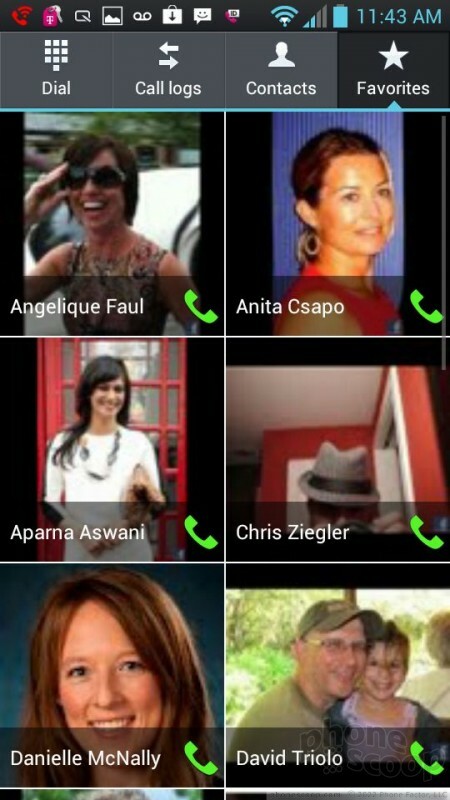 The full-screen widget lets you see 9 of your besties and makes it a bit more fun opening their contact cards than simply diving into the contact app. 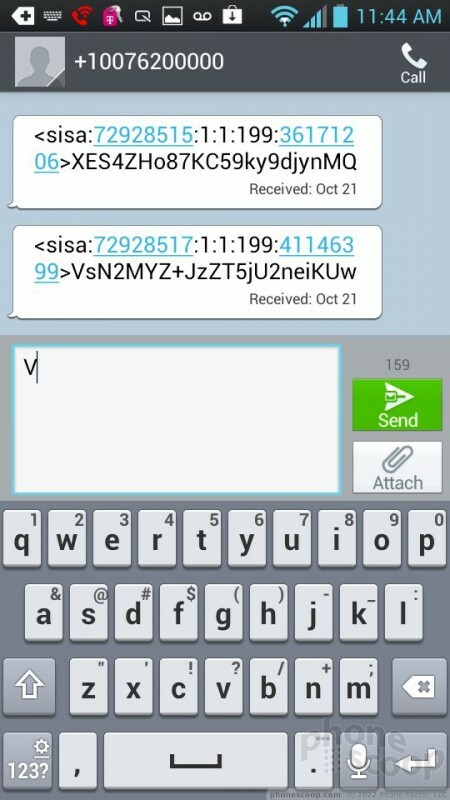 The L9 also uses the stock messaging tools from Google. I didn't see any special social networking or other messaging apps supplementing the stock set-up. 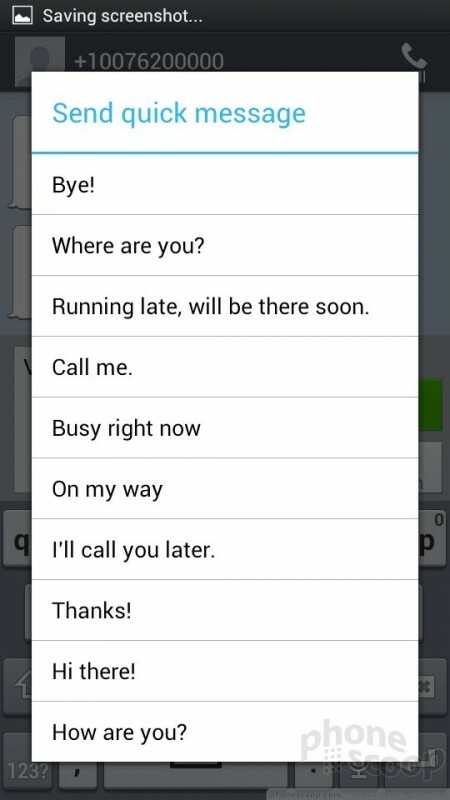 The Android SMS app offers nice, threaded conversations and the L9 includes 10 pre-set text message templates. The Gmail/email apps are great ways to manage your inbox; the Google+ and Google+ Messenger apps are fine tools for keeping up with your G+ activity; and the Google Talk app is as powerful as ever for IM and video chats. Neither Facebook nor Twitter is preinstalled, though they are embedded in the operating system. 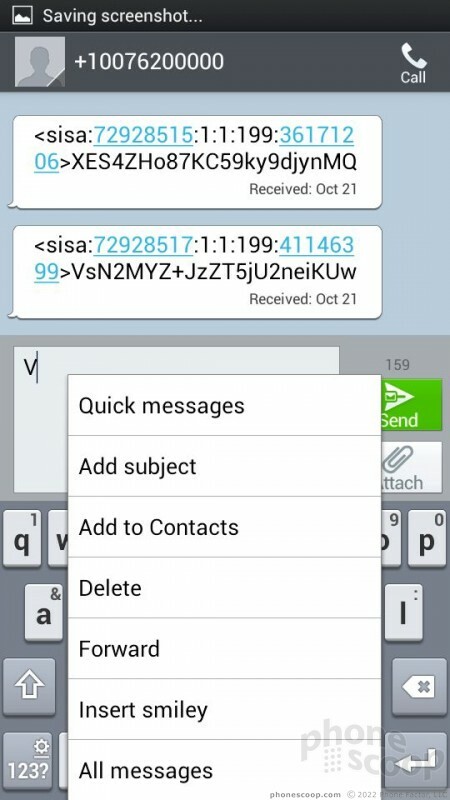 If you sign in using the system tools, you'll be able to take advantage of all the sharing features within the operating system, but you need the full apps to access your messages, DMs, and such.